✓ Over 50 Pickup Points Nationwide. ✓ Drop off + Collection at Coach Parking Arena. 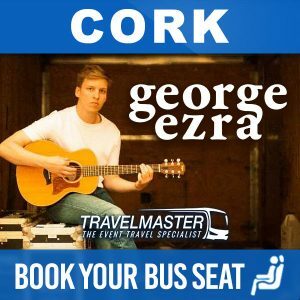 Through TravelMaster, you can purchase tickets for Bus to Forever Young Festival 2019 from 16 counties: Cork, Kerry, Waterford, Tipperary, Limerick, Kilkenny, Carlow, Laois, Galway, Westmeath, Meath, Sligo, Leitrim, Longford, Mayo and Roscommon to Palmerstown House, Kildare because Travelmaster provides an easy and smart way to travel to Festivals – since seats sell quickly, don’t delay and book today! While you relax and enjoy your journey, others are rushing from hotels and luas stops to get to the festival. TravelMaster’s bus to Forever Young Festival 2019 will drop you outside the event and return to collect you afterwards! How do I buy a ticket for a bus to Forever Young Festival 2019? On this page, first select the Day you wish to travel by bus Forever Young Festival 2019 with the day you wish to return. Why should you use TravelMaster to travel by bus to Forever Young Festival 2019? LOCAL: First of all, TravelMaster collects you in your nearest town and delivers you to the festival grounds of Palmerstown House. COMFORT: You travel safely in comfort and as a result, you arrive refreshed to enjoy Forever Young Festival. EASY: TravelMaster will drop you and collect you outside the Festival. Hence, no need for taxis or walking. 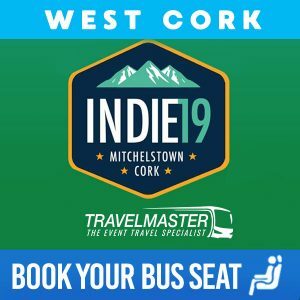 Above all, TravelMaster Offer a Nationwide Bus Service to Forever Young Festival From Galway, Sligo, Mayo, Cork, Kerry, Waterford, Tipperary, Limerick, Meath, Carlow, Leitrim, Laois, Longford, Roscommon.